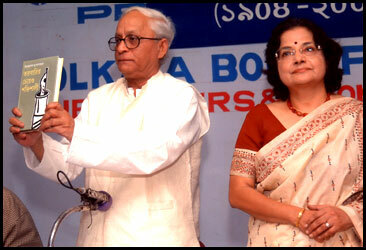 Esha Dey, Indian Writer and Academic (Born 14.04.1939), comes from an illustrious family of Bengal. Educated at Presidency College, she obtained B. A. Hons., M. A. and later Ph. D. degree in English from Calcutta University. She also acquired two diplomas in French. Her husband, late Pronab Kumar Dey, belonged to Orissa Cadre of I.A.S. She taught at premier Govt. Colleges in Kolkata, Bhubaneswar and Cuttack and after retirement served as guest lecturer in English, Calcutta University. A distinguished academic, her research in Indian writing in English was one of the first projects of its kind in Kolkata. Many of her papers have appeared in prominent research journals and quite a few have found place in different collections. in discussions on various issues, both cultural and socio-political. Mother of two sons, she loves to travel, to watch foreign films and to read bestsellers. In all her creation, she tries to avoid the beaten path and establish her individual vision. Daughter of the legendary Bengali editor Vivekananda Mukherjee, she has collected his famous editorials in Tarobarir Cheyo Shaktishali (2004) edited his birth centenary commemorative volume, Shatabdir Soinik, (2005), collection of his essays, Probandha Sangraha, (2008), and supervised a new edition of his magnum opus, Dvitiyo Mahajuddher Itihas (2013). The Novels of Raja Rao (1992), a full length study of the most sophisticated and original writer of the pioneering generarion of India English literarure. 1. Soti, Bjnodini ebong aami (1997), a portrayal of three working women, of different cultures balancing home and job, negotiating with sexism, each in her own way. 2. Putlir Kathaa (1999), explores the universe of a girl-child of a dysfunctional family, caught in the contradictions underlying our progressive intelligentsia. 3. Thikaanaa (2001), presents the predicament of a modern male threatened by empowered woman, lost in the harsh reality of sub-national scheming and militant unionism. 4. Aker Por Ak (2005) narrates a triangular relationship in which the quest for personal fulfilment suppresses love and emotion in the background of political turmoil and violence. 3. Shadi Dor Com Ebong Tar Por (2011). The world of her stories encompasses wide geogtaphical area, literally from Ketala to Kashmir and beyond the seas, treats astonishing range of themes, particularly interactions between men and women across social cultural and religious barriers, presented with various shades of emotion, happiness and woe, aggression and protest, humour and satire, and sometimes wirh calm grace. 1. Misharer Debdebi (7009) : An Egyptian Journey through the major sites with details of its glorious period when gods and goddesses ruled the Nile delta. 2. Anya Turoska (2013) : A thrilling account of ancient Anatolia, discovering its forgotton Greco Roman heritage, beneath the seat of a great Muslim empire. 3. Achena Spain Ajana Portugal : A detailed exploration of exquisite cities and monuments of Iberia, the land of bravehearts, adventurers and empire builders. 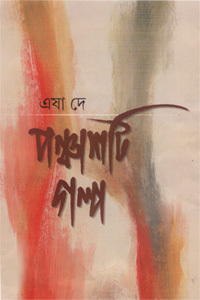 Tobu Mone Rekho (2002), reminiscence of her father's struggle, achievement and tragedy inextricably bound in the history of 20th century Bengal. Bangobyango (2009) makes fun of many established notions and popular concepts. 1. Khude Rajkumar (1995) Bengali rendering of a world classic from the original French. 2. Dui Mahadesher Upokatha (2004) Folk tales from Africa and native America. 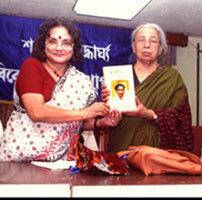 Member of Alliance Francaise du Bengale, Eisensrein Cine Club and SOI, Women Writers ' Association, W. Bengal.